From the start, this first person puzzler is different to the rest. You are there at the narrator’s birth into a strange world and, like him, you have no idea what is going on. Through his monologue, you learn what he thinks about his world, how he might fit into it and what possibilities it could open up; is he an all-powerful and knowing God? 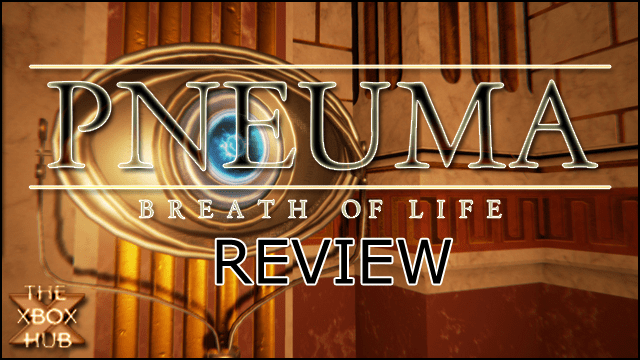 Pneuma: Breath of Life is, according to the developers, a ‘story of self-discovery, exploring the fundamental nature of being’. The monologue, the next episode of which you hear when you come across a new puzzle, is supposedly comical and contains the occasional clue. The main purpose though is to guide you through the story of discovery along with the narrator. Moving things with your mind is fun for a while but the gameplay gets a bit stale when this is all you have to do. After the first couple of chapters things get a bit more interesting as new types of puzzle are introduced into the game. This has its benefits but also drawbacks. Many of the puzzles left me more than just a little confused. I’ve played quite a few puzzle games and most of the time its pretty obvious what you have to do, and the steps you have to take to solve them are fairly logical. 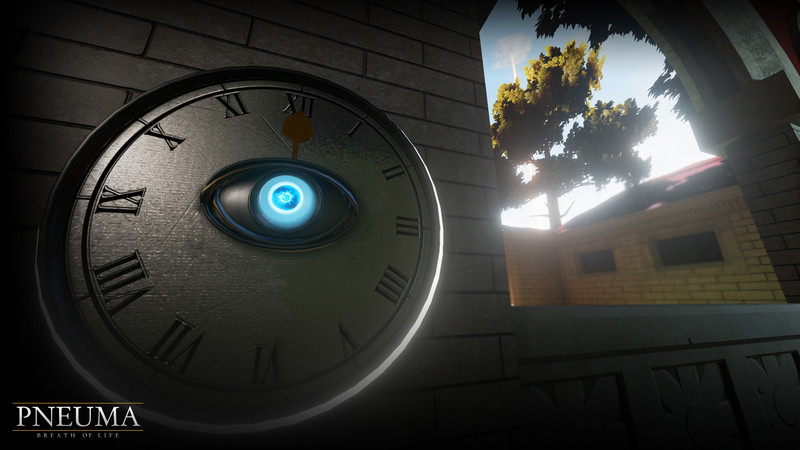 However, quite a few of the puzzles in Pneuma stubbornly lack clarity . Just one example – see how you do. You are in a room with a locked door and a tall tower which has separate sections. Each section has one of the magical blue eyes on each side. You can move the sections individually. What do you do? What adds to this feeling of frustration is that once you find out the solution it still doesn’t seem obvious and you realise that without ‘cheating’ you would have never figured it out. This is not great for a game that claims the puzzles can be solved ‘based on perception, observation, and attention to detail’. This happens more than once and so rather than make me want to solve the puzzle so I can progress and face more, it just makes me want to complete it so I can finish the game as quickly as possible. If I didn’t have to write this review I probably wouldn’t have bothered – not a great endorsement for the game. 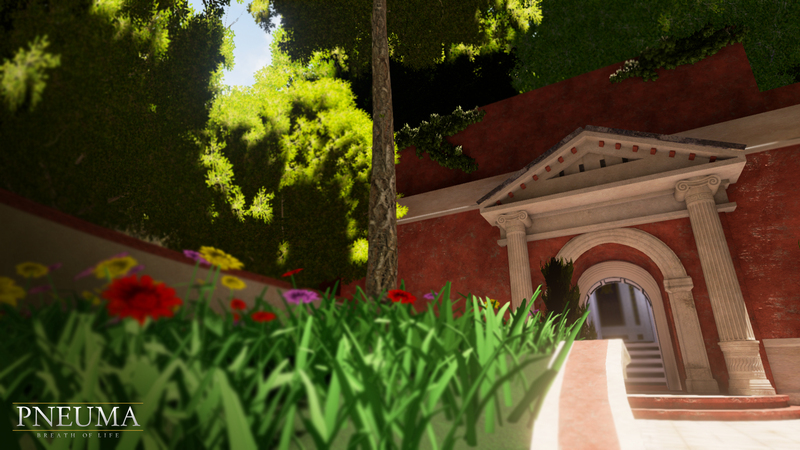 Pneuma has been likened to Myst – the old PC game which is also a first person puzzler set in a mysterious, slightly scary world. I remember playing this as a child and having the same feeling of frustration at not having a clue about what I was doing and why. To be fair, I had this feeling about a lot of computer games back then – a combination of being young and the fact that computer games were just harder – it wasn’t unusual to never get past the first level of anything (not being able to cheat didn’t help). 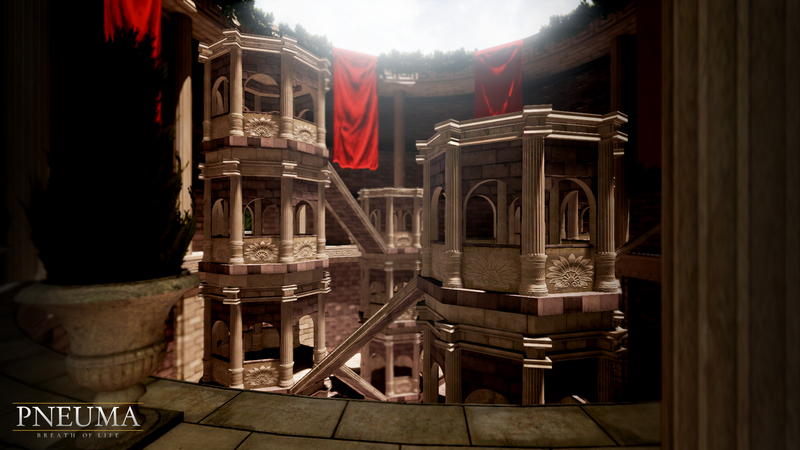 However, Pneuma has been the first to bring back that old-school feeling, so it has to get 10 out of 10 for nostalgia. To be fair, I have to point out that not all the puzzles are this frustrating. Quite a few are very well designed and are actually enjoyable to solve. Add this to the fact that the world in which you are solving them in is visually stunning and it’s not all bad. But all the graphics in the world can’t make up for bad gameplay; which is more important for you? Looks or personality? In fact, the best bit of the game came right at the end during the epilogue. It was unexpected and a bit scary. Like the ending of a good book or movie it was there to stop and make you think, and it did. if you want to find out why you’re just going to have to struggle through the often frustrating puzzles to complete the game – are you up for the challenge?